Danielle & Dustin... if I were to get married today (versus ten years ago), I dare say that Alan & I would have a wedding much like theirs. Gorgeous burgundy lace bridesmaids dresses (which I conveniently matched with my own attire). Danielle's stunning, classic, long sleeved lace wedding dress complete with buttons on the cuffs. Her hair done in a lovely french twist (thank you Audrey!). Dustin getting ready with his guys upstairs with lots of laughter and antics. The sun streaming through the white puffy clouds and glistening across Rangeley Lake. The amazing staff from The Loon Lodge and florists from Sunrise View Farms busily prepared the lakeside green lawn for their ceremony. Meanwhile, Carol Cusson from A Beautiful Wedding Cake placed the finishing touches on their cake and Dave Dionne from Dionne Entertainment prepared to rock their reception. Meanwhile, videographer Rebecca from Miles & Drouin and I spent the day capturing the story that was unfolding for us all. To say that it was the perfect day seems to be a vast understatement. Smiles. Tears. Laughter. The range of emotions of the day was immense. When you first contacted me almost 18 months ago, Danielle & Dustin, I knew your day was going to be a highlight for me. And it was in every way. Thank you, thank you, thank you for trusting me to be there with you and to tell your story for generations to come. I am truly honored and blessed. 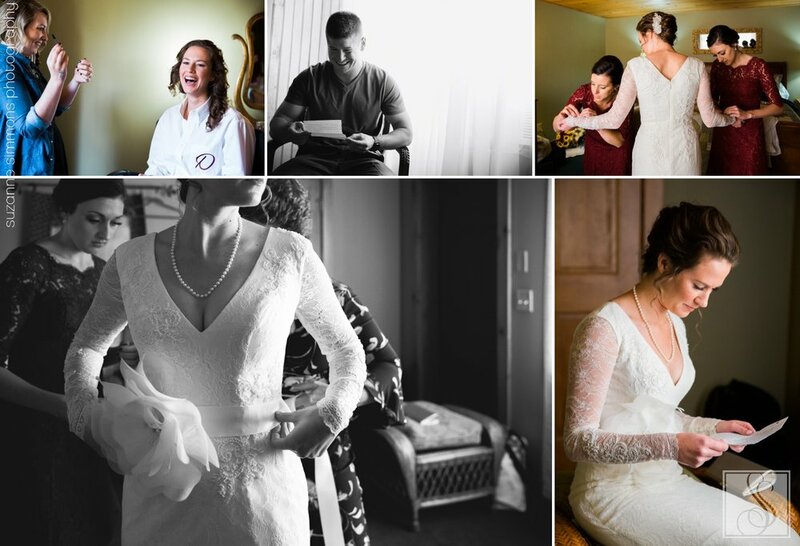 And thank you to Jennifer & Jared, who I captured on their wedding day years ago, for sending them my way. Big, big hugs to you both (and your littles).